You had to be just a little concerned about the Brewers’ offense after their 6-1 homestand. The Brewers blew out the Pirates in their first game back home on August 12, but failed to score more than three runs a game in the remainder of the two home series. Spectacular pitching performances from the starers, coupled with the lockdown back end of the bullpen, were the Brewers’ saving graces. Some timely hitting by guys like Jerry Hairston, Jr., Mark Kotsay, and Nyjer Morgan led to success. The Crew finally put a crooked number on the board last night against the Mets. If you didn’t manage to stay up for the whole thing (and who could blame you after a nearly three-hour rain delay), you missed an excellent game from Prince Fielder (2-3, 2 BB, 2 R, 2 RBI) and Casey McGehee (3-4, 2 RBI, BB). Nyjer Morgan and Craig Counsell both chipped in two hits, and Yuniesky Betancourt added an RBI. The Brewers added an unearned run in the first inning on a David Wright error. 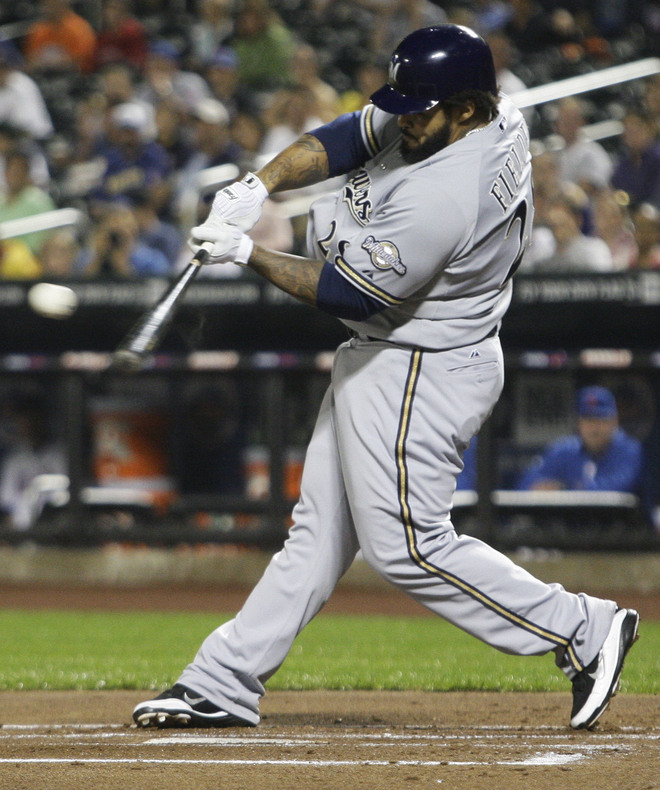 Add it all up, and the Brewers came out of Game 1 against the Mets with a 6-1 victory behind another solid start by Shaun Marcum. And what makes it even sweeter? St. Louis fell to Chicago, 5-4, in ten innings, pushing the Brewers’ division lead to 7.5 games.